Escape rooms face two unique challenges. Challenge 1: You can’t describe what’s inside; it’s a secret. 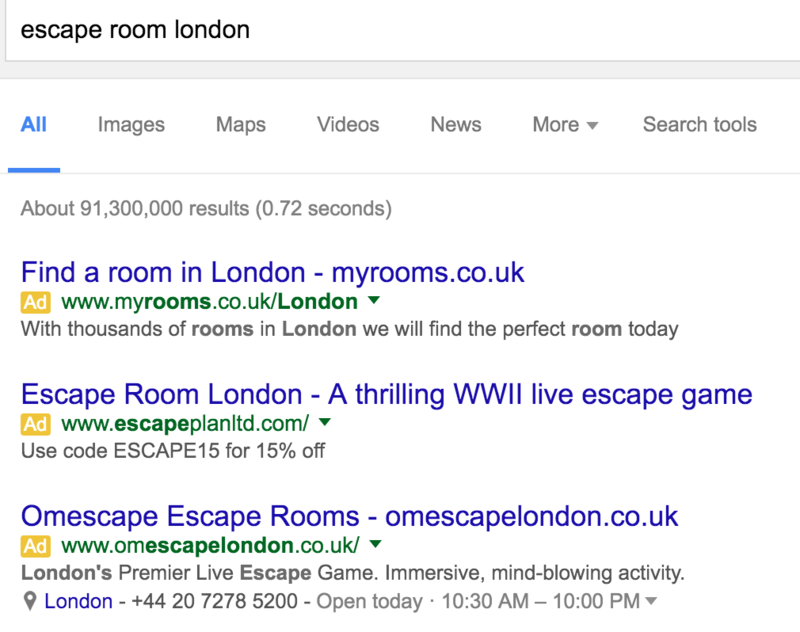 Marketing an escape room is like trying to sell something invisible. You can’t show it to your customers until after they’ve paid for it! People book escape games based on a promise. How do you convince someone to pay for something he’s not allowed to see? Challenge 2: An escape game is a one-time sell. Once you’ve spent all your time, energy and money attracting customers and convincing them to buy into your secret, you can only sell them that experience once! Even if your customers are delighted with your service, your set design, your puzzles, your narrative – they’re only going to play that particular game one time. Operators with several rooms bank on providing such a great first-time experience that customers will return to try the others. But what if you only have one room? … your marketing strategy must focus on bringing in as many new customers as possible. Consistently attracting new customers is vital to your business growth – and most likely, your survival. 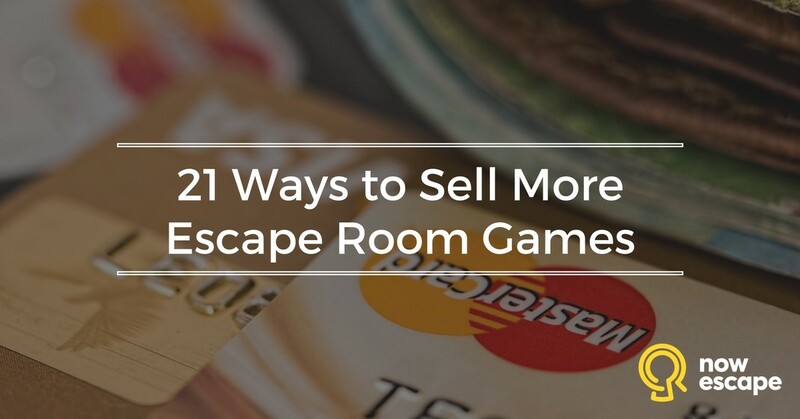 The following 21 marketing strategies will help you attract new customers to your escape room business. 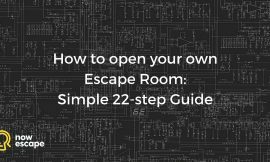 check out 6 Steps for Earning the Best Escape Room Reviews. 1. Offer a free mini-game. People love getting things for free. 1. Set up a mini version of your game (10-15 minutes). Tip: If you have the budget and materials, create a mobile version you can take to local festivals, fairs, and other events. 2. Advertise your free escape room game. Consider handing out fliers on campus the first week of school, placing fliers on cars in nearby parking lots (check local regulations to make sure this is allowed in your area), or printing a coupon for a free game on the back of your business cards. 3. Give people a taste of the full game without giving everything away. When would you like to play our full game? Giving potential customers a complimentary abbreviated version of your game immediately solves Challenge 1. Now they know what to expect! And if they enjoy it, you have leverage when you ask them to come back for more! Also, when they do book the full game, they’re likely to bring along more friends. More friends means more word-of-mouth means more awareness in your community. If you conduct the free game in your facility, where your room is already built, the biggest cost associated with this strategy is advertising. Plus, obviously, your time investment to run it. If you decide to create a mobile version, the costs increase, but so does your visibility. 2. Offer a money-back guarantee. “You did not like the game? Assuming you’re offering outstanding service and a great escape game, few people will ever take advantage of this. But making it available shows your customers that you are confident they will enjoy the experience – and that you genuinely care if they don’t. The only cost associated with this strategy is humility. And the refund amount. But, again, if your game and service are good, you’ll rarely – if ever – have customers take you up on the offer. If people enjoy your escape room, they may want to share the experience with friends or family members. Selling gift cards is a great way to help them do that. Escape room gift cards are also the perfect gift for those embracing today’s “simplicity movement” – people who seek out smaller, simpler homes and shed their excess material belongings appreciate gifts that give them experiences rather than objects they have to keep and maintain. Tip: Put some of your marketing efforts into creating gift cards that complement your theme. Consider creating themed gift-card boxes or – if your budget can handle it – “hiding” gift cards in puzzle boxes. These are Claustrophobia Escape Rooms’ gift cards – pretty cool, aren’t they? Make sure you promote your gift cards both in your lobby and on your website, especially during gift-giving seasons. Tip: Consider renting a booth at a local mall during the holidays and selling gift cards there or partnering with nearby restaurants to create “birthday packages” or “Valentine’s Day” packages that include a meal and an escape game gift card. Depending on how elaborate your gift card delivery method is, this strategy could cost a little money. Digital gift cards, though, cost only the time and effort to program them. News outlets are always looking for fresh and interesting topics to share with their viewers or readers, and you run a fresh and interesting business. Approach local journalists and ask if they’d like to run a story about you and your business. This costs only the time it takes to reach out and make connections. If you have just one room, your customers aren’t going to come back until you have another one. But that’s no reason to send them away with a “thank you” and a hope they’ll remember you when that time comes. You know what they’ll remember? Telling customers about another escape room in the area that you know they’ll enjoy demonstrates that you care more about them than their money! When you do open your next room, they’ll remember you were the one who recommended another great experience. They’ll remember that you were honorable and generous. When you establish a cross-selling strategy with your competitors, everyone wins. This strategy costs you nothing. First, it should go without saying that you need a website. Second, your website needs to be easy to navigate and represent your brand in the best way possible. To make sure your website stands out from the competition and makes a great first impression, check out Nowescape’s blog on Escape Room Web Design. Third, you need to use digital marketing strategies to attract visitors to your website. There are countless ways to spend money online, but very few ways to spend money efficiently. Unless you know exactly what you are doing – engage professionals to handle your paid online advertising. Advertising online can get pricey, especially if you don’t know what you’re doing. Trust someone who does to get the most for your money. Everyone who has used the Internet has heard of SEO. Not a lot of people really understand what it means, though. With a simple Google search, you can find countless SEO tips and tricks from reputable – and not so reputable – experts. Publish good content, and you will be rewarded. Good content is anything that is useful and valuable to your target audience (your potential customers). So, rather than stressing out over whether you understand long-tail keywords, canonical URLs, and referrer strings, just sit down and think about the people you want to attract to your business. What are they likely to be searching for online? If you’re targeting couples, post a blog about unique date ideas (make sure one of those ideas is an escape room!). If you have a child- or teen-friendly escape room, target parents with a blog featuring fun family activities in your area (hint: one of them is visiting your escape room!). If your customers are primarily tourists, write about local attractions visitors should make sure they see before they head back home (obviously, they shouldn’t leave town without visiting an escape room!). Search engines know if people stick around to read what you have to say, so say something people will enjoy reading. The more people find your content relevant and useful, the more search engines will send new folks your way. Of course there are also plenty of SEO specialists who do understand long-tail keywords, canonical URLs, and referrer strings, so if you’re really committed to a robust SEO strategy, you don’t have to figure it all out yourself. You can hire a professional. Doing your own online research and writing blogs and other content is free. If you hire a marketing professional to help with your SEO, you’ll pay an hourly or monthly fee. These fees will vary depending on your geographic location, the person or company you hire, and the amount of work you want done. 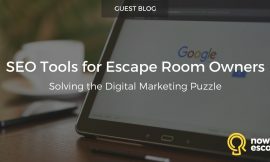 check out SEO Tools for Escape Room Owners. Have you ever noticed that after you visit some websites, you start seeing their ads everywhere? That’s remarketing, and it is highly effective. If you plan to dedicate part of your budget to only one online marketing strategy, remarketing is the one you should choose. Remarketing guarantees that your brand stays in potential customers’ minds, even after they’ve left your website. Remarketing does take a little backend web development knowledge, but it’s worth it to either figure it out yourself or hire a professional to do it for you. Remarketing is cheaper than standard pay-per-click online advertising, but it will still cost you a little money. Tip: Remarketing only works when you already have visitors on your website, so don’t spend the money until your web traffic is sufficient to make it worth it. TripAdvisor has become one of the primary drivers for the industry. Go to TripAdvisor and create a free attraction listing. Write a catchy 500-character description of your business and upload a photo. Sign up for Review Express to collect as many reviews as possible. Obviously, you’ll also want to make sure your escape room and service are worthy of great reviews! Tip: Keep in mind that no matter how hard you work, occasionally you’ll encounter someone who is just negative about life and pours that energy into a bad review. Making sure you offer a money-back guarantee will help, but don’t be discouraged if you get one negative review in the midst of tons of good ones. On the other hand, if a lot of reviewers are highlighting a certain issue, that tells you what you can do to improve. Getting listed on TripAdvisor and using Review Express are both free. Search the Internet for blogs or websites about escape games, games in general, or entertainment options in the community. If your room has a well-known theme, such as Sherlock Holmes or the Titanic, you could look for bloggers who write about those things, too. Contact bloggers who speak to the audience you’re targeting and offer them a free game in exchange for a review. Or even better – invite them to play a paid game, so their reviews are not biased. Asking bloggers for reviews costs you nothing. Some people already know about room escape games and look for them at home or when they’re traveling. So make sure they can find you! Visit the escape room directories that cover your geographic area and contact their administrators if your business isn’t listed. Most online escape room directories will list your business for free. 12. Avoid discount coupon websites. This is the only item on the list that tells you what not to do, rather than what to do. 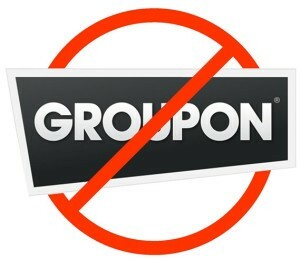 Do not rely on Groupon and similar discount services if you want to develop a sustainable marketing strategy for the long run. Often, the people who purchase discount coupons for restaurants, services, and entertainment are far more interested in discounts than they are in the specific venues they visit. You host games for people who may not be your target customer and may not play or enjoy the games the way your target customer would. This can lead to less favorable reviews – not because your service or game was unsatisfactory, but just because your customers weren’t a good fit for your type of entertainment. Selling your games for less than they are worth gives people the impression that they are not worth what you ordinarily charge. If people pay a discounted rate for one game, they will expect all similar games to be available at the same, low rate in the future. This affects both you and your competitors. People who have seen your brand listed on discount coupon sites may choose to wait for your next discount campaign to visit, rather than purchasing tickets at a full price. Ultimately, you may end up selling a lot of spots, but only during your discount campaign. And in between these . . . dead silence. It’s difficult to do anything these days without running into references to social media, particularly Twitter and Facebook. Use this popularity to your advantage. While there numerous how-to guides out there on using social media to your advantage, you don’t necessarily need a fancy social media strategy to keep up with your customers. Remember that the key word in this equation is “social.” Customers respond to companies that engage with them as people, so develop a friendly, genuine brand voice and interact with them the way you’d want to be interacted with. 13. Post relevant content regularly. Share articles and pictures your target audience will like and want to share with friends because it’s relevant to their interests. Tip: There’s a free tool that will automatically Tweet your Facebook posts for you, so you only have to post in one place. Make sure you promote the content you publish (your blog posts, new-room announcements, gift card reminders, discounts and special pricing, etc.). Adapt your posts to fit your audience on each platform (for example, posts on LinkedIn tend to be more professional, while you can use more casual language on Twitter and Facebook). Setting up profiles on the most popular social media platforms is free, as is posting and sharing content. If you decide to try paid advertising on social media, track the results of your campaigns carefully and evaluate your ROI (return on investment) before making this a go-to strategy. You’ll get the most leverage from your social media activity through the branded team photos you take of your customers after they finish a room. Post these photos to your news feed and let your customers tag themselves. You can also email room-completion photos to your customers. Players will almost always post these photos on their social feeds and tag themselves. Whether you do the photo posting or your customers do, your customers’ friends will all see these pictures displaying your logo and a group of happy, excited people. Aside from the cost of the camera, taking digital photographs and posting them on social media will cost you nothing. If you happen to be in a location that is frequently visited by tourists, you can increase one-time visits by encouraging out-of-towners to give your escape room a try. Some escape room fans actually seek out games in the cities they visit, but you also might get players who are new to the idea to try your room (thus turning them into fans!) if you market your business as a tourist attraction. 15. Buy ad space in local tourist guides and maps. Because you live in your hometown, you may not be aware of the efforts made by local businesses to attract outsiders. Now’s the time to do a little investigating! Google your town or geographic region as if you are coming to visit for the first time. Visit hotels and other lodging providers and see what kinds of brochures, maps, and guides they provide. Talk to other entertainment providers in your area and ask where they advertise. If your area hosts fan conventions of any kind, look into buying ad space in convention programs. Get your ads out there. Purchasing ad space costs some money. Most publications charge based on the size of the ad. Tip: For a less costly alternative, consider printing fliers and personally distributing them at tourist attractions, festivals, fairs, and fan conventions. Make sure you check with the attraction operators first and follow their rules. 16. Establish a business relationship with local tour companies. If you’re located in an area that’s served by tour busses and tour guides, find out if there’s a way to develop a cross-promotion commission contract with these companies. There may be an army of people available to promote and sell spots in your escape room just waiting for a call from you. Generally, these types of contracts involve the payment of a commission or “finder’s fee” for each booking gained through the arrangement. The best advertising is positive word-of-mouth from those who have played and enjoyed your game(s). 17. Hand out branded merchandise. Add your logo to small useful items to keep your brand top of mind. 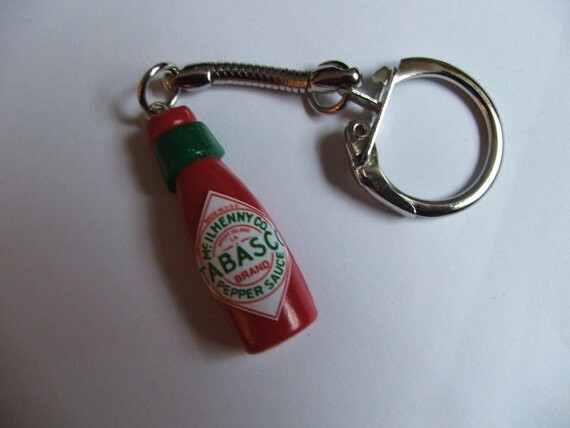 Give customers small, inexpensive, branded items, like keychains, as gifts after they play. Try to pick something that is closely related to your escape room’s theme. If they liked the game, and the item is cool, they will show it to their friends. Many companies sell branded items in bulk for low prices. The more you order, the lower your price. 18. Sell branded t-shirts and other items. Some people like to collect t-shirts, shot glasses, and other branded items as souvenirs of places they’ve visited, especially when on vacation. Every time someone wears a t-shirt with your logo on it, you’re getting free advertising! As with freebies that you give away, you can generally find companies that will put your logo on just about anything, with prices getting lower as you order more items. If you’re just starting out, you might not want to order too many of these items until you know how well they sell. 19. Give customers discounts on future bookings. This technique is similar to the “upselling” you often see fast food or concessions employees practicing. If you have more than one room, you can encourage players to spend more immediately after they finish a game (while they’re still full of adrenaline and high spirits)! Provide a discount on their next game if they book now. Have your front desk attendants ask players if they want to book another game (offering a discount) before they leave or place a sign on your front desk reading, “Ask how to get $10.00 off your next game” (or something similar). Tip: If you have a room that’s empty at the time, offer an even greater discount to play that room immediately. Some people will take you up on it. This technique does require you to offer a discount on a future booking, but if you consider that these are spots you might never have booked if you had just let the group walk out the door, it may be worth it. Also, remember the value of positive word-of-mouth. 20. Employ the birthday call. I have to warn you now. I am going to share a very powerful sales tip. Something your competitors don’t do. How many emails do you typically get on your birthday? Do you remember any of the companies that send you these emails? If you are like me, you don’t remember any of these emails, and they all end up in Spam or Trash. Birthdays are usually happy days for your customers. Call your clients on their birthdays and wish them a happy birthday. Next time they think of an escape room, who will they think of? Tip: You can get players’ phone numbers and birth dates during the booking process. It is free to call, takes just 20 seconds, and can win you a returning customer. Even better, these customers will remember you, like you, and refer other people to you. If you’re doing your job right (offering an outstanding experience from beginning to end), you should never have to beg for a reference. People who enjoy your game will share their experiences with others because they want to – not because you asked them to. 21. Earn loyalty and recommendations. Make your puzzles fun, challenging, and unique. Put your time and money into quality set design and props. Create a narrative that’s intriguing and entertaining. Make sure that every person who plays your game wants to come back for more. Those people will tell their friends. They will write positive reviews. They will do your marketing for you. 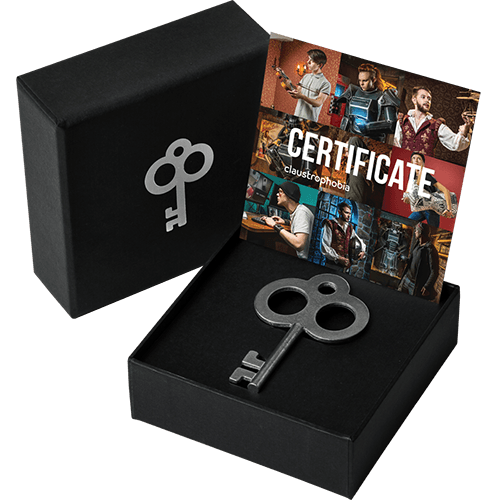 Provide a great escape room experience, and you will be rewarded. Extraordinary service, puzzles, and showmanship result in loyal customers, great reviews, and valuable referrals. 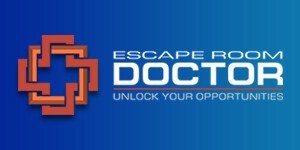 Visit Nowescape’s Escape Room Resource Directory for a list of consultants who can give you more personalized guidance.